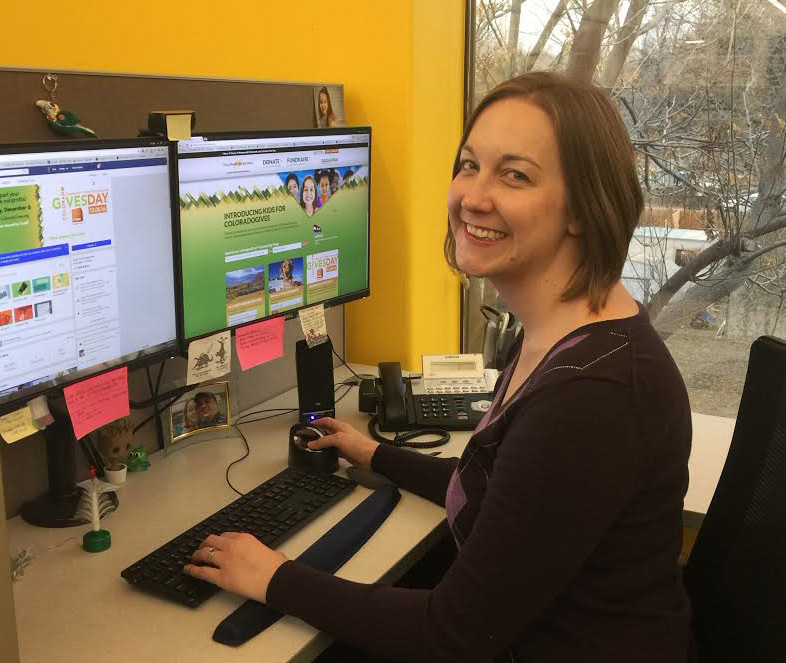 Ever wonder what’s happening behind the scenes on Colorado Gives Day? Answering questions, processing donations and communicating progress is an all-hands-on-deck affair at Community First Foundation, but there are three staff members who really keep the ColoradoGives.org wheels turning, today and every day. 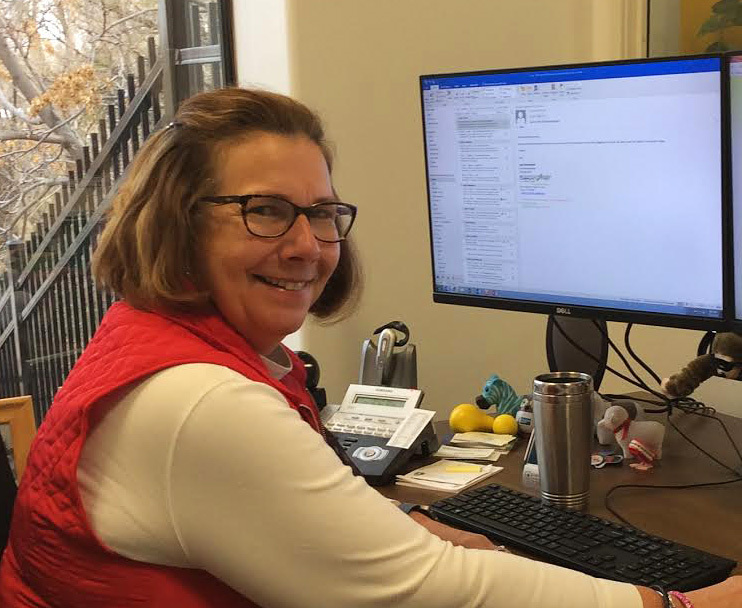 Meet the online giving team! Q. What’s your role on the team? A. I raise awareness of the program and keep it moving forward with exciting new ideas like KidsforColoradoGives.org. Q. What’s the coolest thing about ColoradoGives.org most people don’t know? A. That you can set up ongoing, regular donations to your favorite nonprofit to support them year-round. This gives them funds they can rely on and helps you spread out your cost. Q. What are your personal charitable passions? A. For me, it’s about making the world a better place. Q. What are you most looking forward to doing the day after ColoradoGives Day – December 7? A. Sleeping. I also look forward to hearing amazing stories from nonprofits about what happened on Colorado Gives Day. Q. If you could go on a “friend date” with any celebrity, who would it be and what would you do? A. I would go for wine with Madeline Albright. Q. What’s your role on team? A. I address donor questions and help resolve any donation issues. I also assist nonprofits with updating and completing their profiles and work with all the data associated with the website. A. It is a year-round program, so people can donate 24 hours a day, every day of the year – not only on Colorado Gives Day! A. Education and civil rights. A. Picking up some game-worn Colorado Rapids gear at their supporters’ sale. A. I’d get a pizza with Lionel Messi. 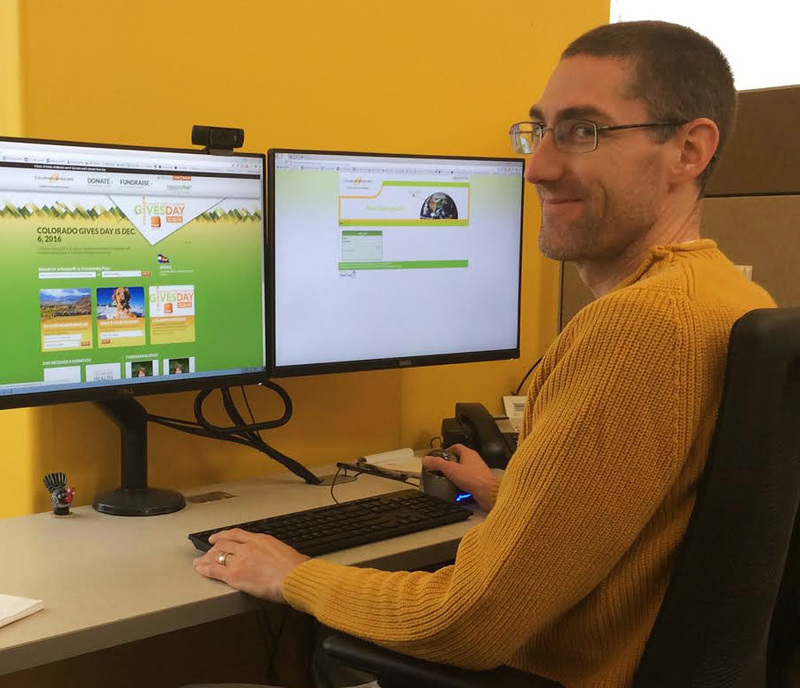 A. I help donors and nonprofits with questions they have about the ColoradoGives program, donations or nonprofit profiles. 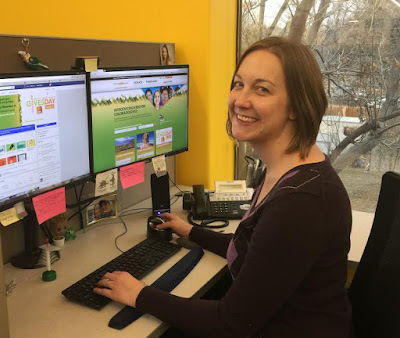 I also manage ColoradoGives communications, such as our newsletter and social media posts. A. We’re working to improve our process on an ongoing basis. I don’t think a lot of people know just how passionate we are about serving our community to the best of our ability and how hard we work to ensure nonprofits and donors get the best service we can provide. A. This is always changing for me. As I grow older and more involved in the community, I find more things I am passionate about. Right now some of my passions include education, the arts, helping people with disabilities and public media. A. Celebrating the final results! A. Tough question! Probably one of my favorite comedians. I’d love to just sit with one of them and shoot the breeze over a cup of something delicious so I could thank them for how much joy their jokes have brought to my life.